Excessive oil production of the sebaceous glands causes oily skin. Having oily skin has both advantages and disadvantages. Oily skin is less prone to deep lines, wrinkles, and other signs of aging since it does not easily mature. The oil in the skin hydrates the skin, but it also makes the skin appear greasy. 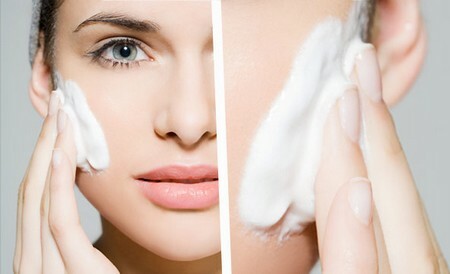 One problem of having oily skin is that it is more prone to acne breakouts. When oil from the skin is deposited in the pores with dirt, it becomes a pimple. It is important the oil in the skin is balanced. Use baking soda as a face wash. Mix baking soda with water to wash your face. The baking soda will lessen the oil on your skin as well as serve as an exfoliate to remove dead skin cells to improve the appearance and the texture of your skin. Do a facial steam. If you give your face a facial steam at least twice a week, it can help regulate your skin’s oil production. If you cannot do so at a facial clinic, you can do it your self at home. Simply pour hot water in a bowl and lower your face until you feel the steam penetrate your face. Cover your head with a towel to lock in the steam. Do this for about 10 minutes. Wash your face after completing this treatment. Use lemon juice as a toner. After washing your face, put lemon juice on a cotton ball and apply it all over your face. The vitamin C present in the lemon juice will serve as antioxidant and help regulate oil production. Clean your face using yogurt or milk. Dairy products contain lactic acid, which is effective in cleaning the skin without leaving it overly dry. Lactic acid is effective in exfoliating the top layer of the skin and can unclog pores and remove dead skin cells. To increase the effectiveness of this practice, wash the oily part of your skin with one of these products twice daily. Use apple cider vinegar. Apple cider vinegar will dry out your skin but not so much that it leaves it flaky. Apple cider vinegar contains acetic acid that can dissolve oil in your skin. After you wash your skin, apply apple cider vinegar in a thin layer over your oily skin area. If, however, you have extremely oily skin, you can apply apple cider vinegar twice a day or even more if necessary. Use an oatmeal and honey mask. Combine a considerable amount of oatmeal and honey until you create a paste of a consistency similar to a facial mask. Apply the mask to your face and leave it on for about 20 minutes. The oatmeal absorbs the excess oil from the skin while the honey is an effective drying agent and astringent. Rinse off the mask with lukewarm water and gently pat the skin with a towel to dry.